My review of Rumee Ahmed’s remarkably clear, accessible, and insightful analysis of writings on legal theory by two prominent Ḥanafis, Abū Zayd al-Dabūsī (d. ca. 430/1038) and Muḥammad ibn Aḥmad al-Sarakhsī (d. ca. 483/1090). Ahmed looks beneath the surface of their writings to discern their values and motivations, their theological and philosophical concerns, and their different visions of divinely revealed law. David R. Vishanoff. 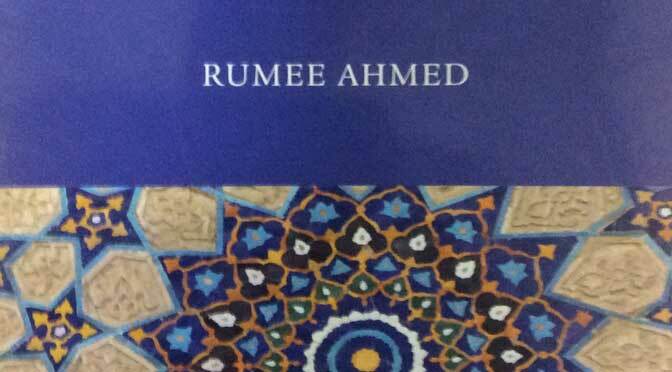 Review of Rumee Ahmed, Narratives of Islamic Legal Theory (Oxford: Oxford University Press, 2012). Islam and Christian-Muslim Relations 24 no. 1 (2013): 134–136. In case you cannot access the published article, here is a PDF of the Author’s Original manuscript.